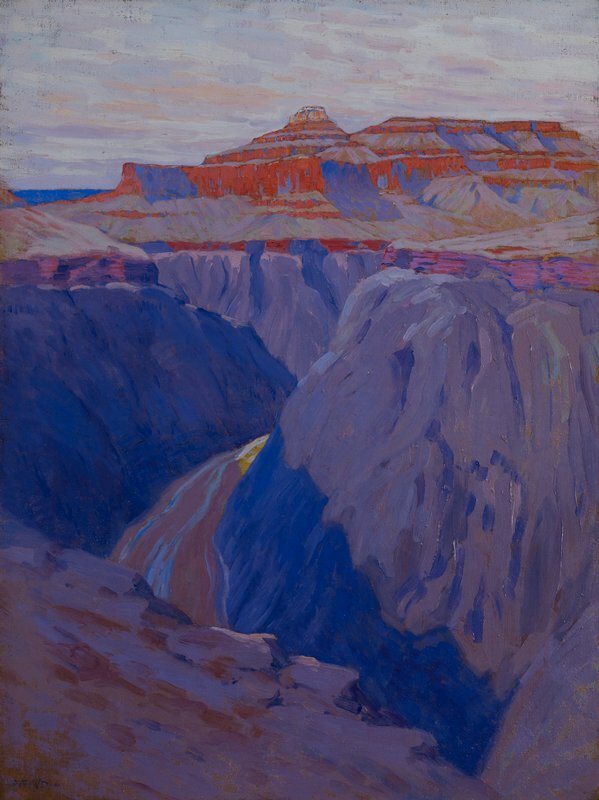 Dow traveled the American Southwest in 1911 and 1912, documenting the Grand Canyon. His unusual painting style fused an appreciation for Japanese woodblock prints—gained from his days as a curator of Japanese art in Boston—with the simplicity of the American Arts and Crafts movement. In this work, his use of color and visible brushstrokes emphasizes the immensity of the vast, exotic landscape of the Southwest.